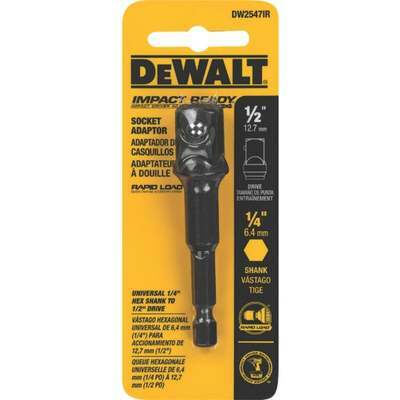 DeWalt impact ready accessories are rated for 2000 in/lb. of torque for the most demanding applications. 1/4" hex shank fits all quick change chucks as well as standard drill chucks. Ideal for mechanical contractors, HVAC, deck builders, general contrctors, and overhead garage door installers.